Since July 18th, Mason has taught the students at ETA for a full month now! Her concentration at Teachers College is Teaching English to Speakers of Other Languages (TESOL), so ,naturally, she's a pro at teaching our students! 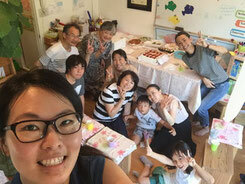 In the short span of four weeks, both the children and adults have been motivated by Mason's cheerfulness, kindness, and her friendliness to study English. 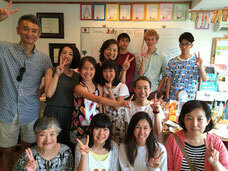 To show gratitude, many of our students attended this farewell party for Mason. We hope she can take the experience from ETA to continue her teachings of English for many of her future students. Please come back and see us anytime you like! We'll always be waiting for you~! Thank you, Mason! Our guest for the Sunday Special this time is Miss Sawaguchi's summer teaching assistant, Mason. Born in America, raised in Taiwan and Shanghai, she later went on to Boston for university. Upon graduation, she has taught in public schools in Kameoka, Kyoto for two years. Now, she's a graduate student at Teachers College of Columbia University studying Teaching English to Speakers of Other Languages (TESOL). Coming from a multi-cultural background, Mason shared her views on the wonderful aspects as well as some of the issues that she sees exist in Japan. Her presentation skills were superb and we covered many topics through her presentation. 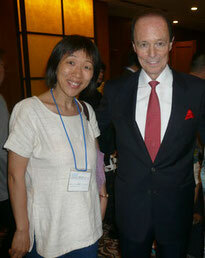 As our main activity, Mason taught us greetings in Mandarin, including a mini self-introduction. Both the children and adults had such a satisfying experience with Mason. Thank you, Mason! Today was Finn's surprise party! We had a lot of students and their parents attend this party. Everyone really enjoyed Finn's teachings and his lessons on American culture, so there must be lots of memorable moments that everyone shared with him together. Meeting Finn has allowed many of our students feel closer to not only him, but also city of New York. Please visit Finn in NYC sometime in the future! 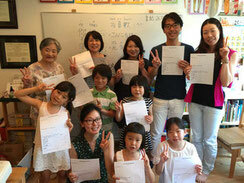 We had an "English Play Day" open house on Children's Day on May 5th! This was K-chan's first time learning English at the age of two. At first, K-chan seemed a little lost upon entering the classroom, but under the kind instructions from that of Keiko-sensei (Pineslake-san) and her daughter, Yui-chan's warm "Welcome", he got used to the classroom quickly. Through reading books and English games, it became a lesson filled with smiles and laughter. 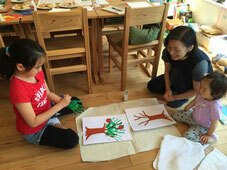 Miss Sawaguchi explained to K-chan's mother about the unique classes that only ETA can offer to our students. As a bonus, we also had some healthy snacks provided by the Macrobiotic specialist, Keiko-san. With a basic knowledge about healthy eating, we were also able to build upon our learning abilities. This is the type of class that takes care of your mind and body that is unique to ETA! A friend of Miss Sawaguchi's from high school, Yuka-san and her husband, JC, came to ETA to share Australian history, culture, politics, currency, and the viewpoints of a Japanese living in Australia. After graduating from university in Australia, Yuka san is now teaching Japanese in junior high and high schools in Australia. Our adult students listened to their presentation attentively and asked many questions about Australia while our younger students were able to understand the differences and became interested in a culture that is vastly different from that of Japan's. Yuka-san and JC's explanations were so easy for our students to understand as well. No wonder they're a couple, since they're always on the same wavelength! 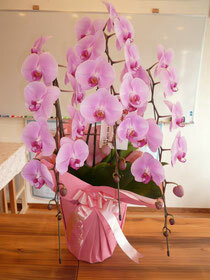 Thank you very much, Yuka-san and JC! Sep 1, 2015:　Announcing the beginning of Skype Lessons this Year! We are excited to announce a distance education project, beginning in October of this year! We will produce a series of lessons incroporating various forms of media and using Skype to teach many students at once. Please see the Lessons page for more details. I will be visiting Tokyo for a special lesson on September 7 th (Mon.) and 8 th (Tues.). For specific details about the lesson and reservation, please send your e-mails to us under the Japanese ‘Contact Us’ section. 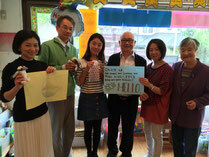 Mr. Itoh from Aikoubou has also kindly offered the lesson space at their head office. We look forward to meeting those of you at the lesson! Mr. Salwak is, among the many professors whom I’ve met during my time as a community college student at L.A., the most wonderful, encouraging and powerful teacher. He even performed magic with his then five-year- old son, Ryan, for me. Upon my return to my school earlier in June this year, I found out that Professor Salwak was to perform a magic show in Nagoya. I was able to attend his magic show after he pulled some strings for me. Through the host at the show, I learnt that the professor was also a principal at a magic school in L.A. the same time that he was my professor at school. The man is such a gentleman and wonderful teacher/magician! In addition to our current students at Sawatelle Japan Gakuin in L.A., we were able to add two more schools in Idaho to our Pen Pal Project! Starting from September 4 th , one of the schools will learn about Japan over the span of four months. Through the Pen Pal Project, our studnets at Eigo Terakoya Academy will be able to teach them the ‘real Japan’ and the things they cannot learn solely from textbooks. The other school in Idaho has many students and teachers who are very interested in Japan. 70 years after World War II, it is through these small personal exchanges that we foster harmony and understanding between the two countries. It has also been the first anniversary of our Pen Pal Project. Thus, Harukaze sensei will be visiting Idaho to teach the schools about Japan. We hope to represent the Japanese studnets and teachers to make a good impression for the parents and students in the states, and hoping that, one day, they would be able to visit Japan. It shall be a fun-filled and wonderful learning experience! Thanks you for waiting, everyone. We have a set date for the president of Aikoubou, Yoshinori Itoh, to come to Kansai for a special lecture. Date: Sunday, June, 28 th (2015) Time: 2p.m. – 5p.m. (reception starts at 1:45p.m.) Location: Okamoto Koubunen Hall. Space is limited, so please reserve your tickets ASAP! In addition, we’ll be getting to know Mr. Itoh through a less formal occasion by dining with him in an Italian restaurant nearby after the event. Dinner will be from 5:10p.m. to 7:10p.m with a cost of 2,300 yen per person. 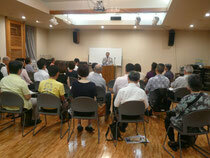 To reserve your space, please contact Eigo Terakoya Academy under the ‘Contact Us’ section. 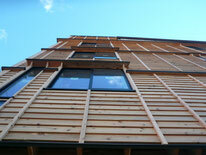 The most received comments for the wood from Aikoubou has been the fact that it serves children the best. They may use any part of their body to touch, feel, and jump on all of the surfaces, including chairs and desks, in the classroom. As they feel comfortable in this soothing environment, it is also easier for them to concentrate on their studies. Thus, increasing their ability to learn as well! Mr. Itoh holds a strong belief and passion towards the versatility and functionality of his products. His message to live by is to cherish life. Doesn’t it look like a great opportunity to hear from someone great and an opportunity exchange your opinions? We look forward to seeing you at the event! We had a chance to connect our students at Eigo Terakoya Academy with the students at Sawtelle Japan Gakuin! At our school, this connection doesn’t happen in the future, but, instead, now; the importance of ‘now’ has always been a priority at Eigo Terakoya Academy. Aside from our normal classes, we are also moving forward and helping our students connect to the world with our Pen Pal Project at the same time. We read the letters coming from our friends in America together and, in English, write return letters. As we read and write our letters, we are also finding and learning the various differences in our way of thinking, culture, and the expressions as well as the similarities between the two cultures. It would be great for the future when our friends come to visit us in Japan or when we visit them in L.A. Perhaps we will also have a chance to be connected with students in states outside of California…let’s hope for some good news from Harukaze sensei! 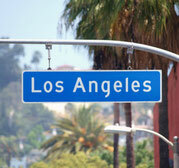 I went to L.A. on a business trip from May, 27 th to June 8 th . I met up with my friend I knew from New York, Jackie, and I went to volunteer at a local Japanese cram school, Sawtelle Japan Gakuin, to look for pen pal students for our students at Eigo Terakoya Academy. I met many of my teachers and went to visit various community colleges as well as universities to collect the newest and most updated information for those students thinking of studying abroad in America. Please expect to see an update about it! March 15, 2015: Grand Opening of Terakoya Academy! Thanks to the support from various people of many fields, Eigo Terakoya Academy has finally opened. Despite our current modest size, we would like to hold an opening party. We would like to invite anyone and everyone, so please feel free to come and play in our new classroom. We’ll be waiting for you!